The Trt Rail 90 Bag from Jack Wolfskin is the ideal Bag for chilled-out globetrotting adventures. Just pull it along behind you and keep your shoulders and back free for hand luggage. 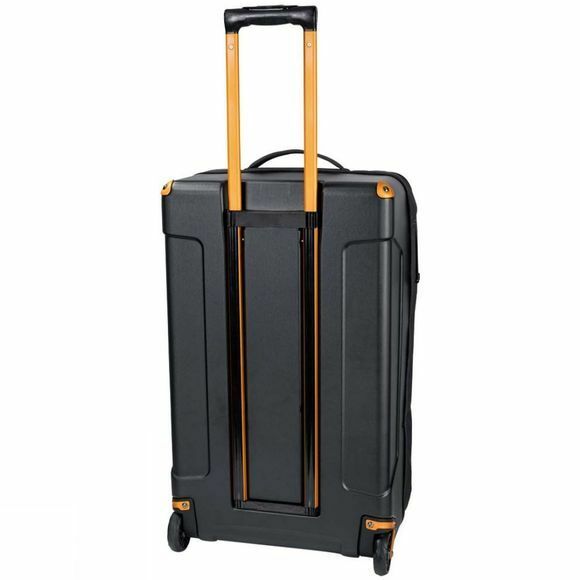 This large trolley Bag has lots of practical compartments to help you stay organised on long trips. Packing your kit is super easy with the TRT Rail 90. Simply undo the U-shaped zip and flip the padded lid open like a suitcase. 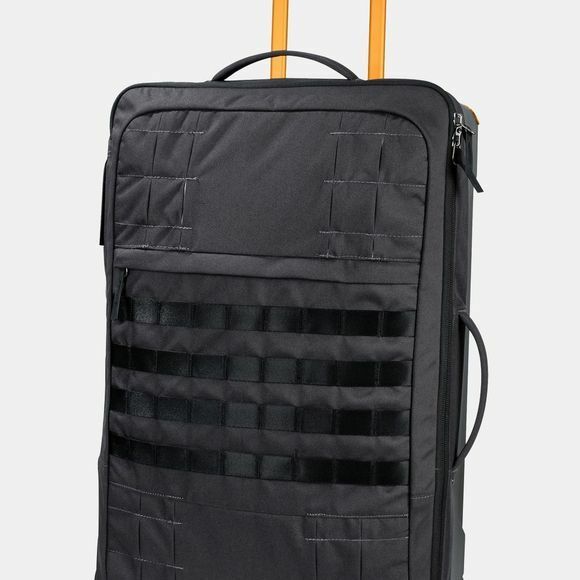 The frame and wheels are integrated into the base of the Bag to allow every last inch of space in the main compartment to be used to the max.TRT–tough, rough, technical–is the high-end luggage series for the tech-savvy user who wants a Bag that's built to last. The Bag is equipped with multiple gear loops on the front. The water resistant fabric can withstand light showers.And because your adventures will sometimes take you off-road the TRT Rail 90 is built to cope with uneven paths. The wheels are extra robust and extra large. You can also carry the Bag by one of the two padded handles.